The final week of play-offs for you is either next week or the week after so picking up solid spot-starters for your injured or under-performing players is key. There are enough QB, RB, WR, and TE's out there to shore up your team. Karlos Williams (RB, BUF) - LeSean McCoy went down with a knee injury that may keep him out for a while. Williams will be the new starter and has a real nose for the end-zone. He is a top pick-up for your finals and play-offs. Ted Ginn (WR, CAR) - most likely not on your waiver wire, but this speedster who has lots of drops gets in the end-zone. He is a TD only league solid pick-up. Denard Robinson (RB, JAX) - if TJ Yeldon misses more time next week then Denard will continue to start and offers more upside in PPR leagues. Cameron Artis-Payne (RB, CAR) - with Stewart not playing Cameron is getting the opportunity to take on carries. The Panthers run a high-power offense and Payne has upside going into the final weeks of your play-offs. Kamar Aiken (WR, BAL) - he is seriously talented even with inconsistent QB's throwing to him; he has solid upside and is someone to roll the dice on in larger leagues. Willie Snead (WR, NO) - this kid is legit in an offense that likes to throw the ball; he was injured the past couple weeks, but with full health he is a solid pick-up. Austin Seferian-Jenkins (TE, TB) - had a nice TD grab this last week and should continue to see targets in the Tampa offense. He has nice TD upside so he is a TE to consider. Bilal Powell (RB, NYJ) - every week he is putting up solid PPR numbers with TD upside. If you need a RB to fill-in for injury Powell brings a lot to the table. Brandon Bolden and James White (RB, NE) - White is a better pick-up for PPR leagues and Bolden for yardage and TD as he is getting more of the load. Both players are a bit of a gamble and New England likes to keep them guessing. Markus Wheaton (WR, PIT) - he is getting more and more looks, but still he should only be considered in deep leagues and he will be a bit of a gamble to start next week. Christine Michael (RB, SEA) - it looks like he has emerged as the lead back but it will still be running back by committee in Seattle. If you are desperate for a RB then you can look to Michael. Alfred Blue (RB, HOU) - he looked sharp this weekend but he is so unpredictable weekly and that makes him hard to start. He is available in some leagues and if you are in dire need then look to Blue as a gamble fill-in. Zach Miller (TE, CHI) - Miller is filling in for Bennett and is a target in a Bears offense that has to throw the ball. He is still a gamble and not my favorite TE, but he is someone to consider in deep leagues. Will Tye (TE, NYG) - he is catching TD's weekly for the past couple weeks and gaining Eli Manning's trust. If you are in a deep TD only league then look to Tye as a sneaky start. Dorial Green-Beckham (WR, TEN) - I love huge WR's as they are a big target for their QB's. Green-Beckham is maturing before our eyes and is a player to watch in dynasty leagues as well. He is really for only the deepest leagues. Jerick McKinnon (RB, MIN) - Adrian Peterson suffered an ankle injury and if he misses next week then McKinnon will be a nice PPR fill-in RB. AP players should go ahead and stash McKinnon. Kirk Cousins (QB, WAS) - looking more and more comfortable in the offense and finding the end-zone. He is a nice flier, but he can still disappoint, but he is a legit spot-starter. 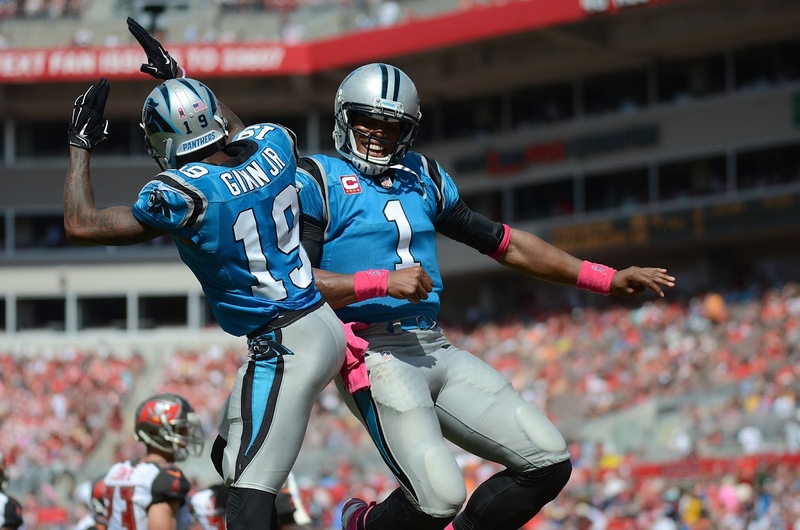 Corey Brown (WR, CAR) - the Panthers spread the ball around a good bit, so Brown has some upside with as many TD's as Cam Newton is throwing. He is just someone to watch at this point. Teddy Bridgewater (QB, MIN) - had a wonderful weekend and could continue to throw TD's going forward. He is a flier at this point, but still has upside that will help next weekend.